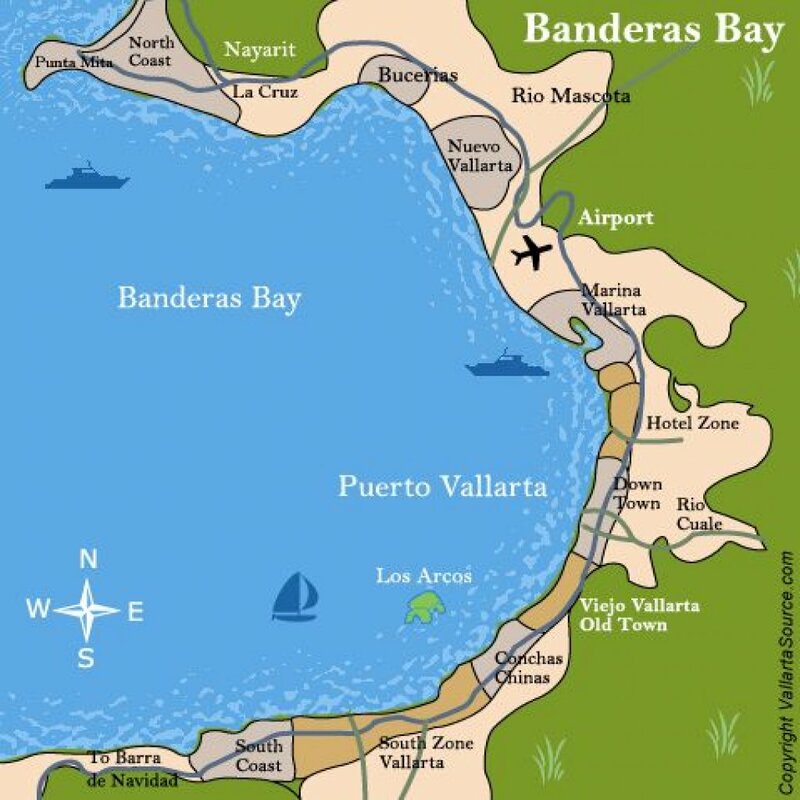 The Bay of Banderas, the Bahia de Banderas in Español. is a 62-mile-long, natural wonder with the world-famous resort town of Puerto Vallarta right in the middle. The Bay and all the charming towns around it, are favorites of cruise ships, and over 3.7 million very happy visitors each year. With the majestic Sierra Madre mountains as a backdrop, the area around the Bay features jagged cliffs, sparkling water, acres of stunning power-white beaches, humpback whales, giant manta rays, dolphins, marlins, sailfish and resort after resort and restaurant after restaurant from Punta Mita to Yelapa. If you are aiming for the best time of your life, you can’t miss finding it here on the Bay and in Puerto Vallarta. With over 330 days of sunshine, pack your sun block, speedos, bikini’s and flip-flops. A day on the bay is like a visit to paradise, complete with beautiful, friendly people, swinging hammocks on swaying palms and anything and everything else you heart desires from action sports to jungle treks. Puerto Vallarta may seem like a dream, but it's the perfection of reality.